The ninth edition in this crucial series of electro-acoustic excursions brings us right up to date with previously unreleased material recorded as recently as this year at Steamroom in Tokyo. With the measured hand and alchemical technique of a François Bayle classic, Jim has us spellbound with A-side, transmuting spectral whistles into digital drizzle and splitting the senses between parallel dimensions of seaside location recordings, distant alien electronics and hauntingly solemn strings redolent of The Caretaker or Stephan Mathieu. 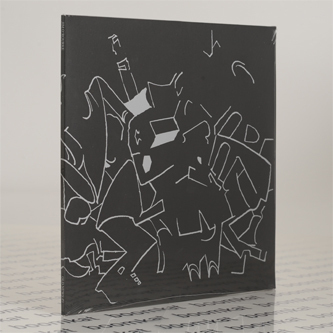 The B-side follows that haunting theme into labyrinthine modular sweeps, glassy chamber harmonics and the sort of surreal, otherworldly textural interplay you might hear on a Francisco Lopez piece. Side C is more dramatic, with vaulted harmonics and icy spectral presence oscillating between alien chaos and piercing but lush melodies. Side D melts strange, almost human voices into a more beautiful 4th world soundscape rent with warm harmonic hues climaxing with intensely kaleidoscopic dissonance and receding to stereo spiralling modulations. Basically it's bloody brilliant.